Bluetooth 5 - just what will it bring to the party? Bluetooth - yes, it really is named after a 10th-century Scandinavian king - has been helping devices talk to each other since way back in 1994, making it a real veteran in technology terms. Now the latest 5 spec is out, and we're here to explain it all. We'll outline for you what exactly makes Bluetooth 5 better than Bluetooth 4, the difference it's going to make to the Bluetooth devices you use (from keyboards to headphones), and fill you in on everything else you need to know to stay up to speed. Bluetooth is simply a standard for allowing two devices to talk to each other in the same language. There's no central access point needed, as there is with Wi-Fi, so the two gadgets can talk direct - your phone and your computer maybe, or your wireless headphones and your smart TV. With each successive update since 1994, Bluetooth has got faster, simpler, and easier to use. Getting two devices connected via Bluetooth hasn't always been straightforward - and in fact has been unfathomably frustrating in times gone by - but the modern day incarnation of the protocol is mostly a breeze to use. Bluetooth 4 arrived in 2010, and although it's been given a few minor bumps since then, Bluetooth 5 has turned up at just the right time to reinvigorate interest in all things Bluetooth. Announced last year, it's now the official standard adopted by the Bluetooth SIG (Special Interest Group), in charge of maintaining and developing the technology. Nearly 30,000 companies are signed up to the Bluetooth SIG, ensuring that when you get a Bluetooth speaker it's going to pair properly with your Bluetooth phone, and they're working to improve the standard all the time. As we'll explain in more detail below, the Bluetooth 5 update improves various different parts of the Bluetooth spec, including the rate of data transmission and how far away devices can be from each other before contact is lost. It's definitely a worthwhile upgrade. What improvements does Bluetooth 5 bring? The first improvement Bluetooth 5 brings with it is probably the one of most interest to users: raw speed. That means your data is going to move faster between Bluetooth devices than ever before. With double the speed and eight times the data capacity of its immediate predecessor, Bluetooth 5 is able to shift 1s and 0s faster than ever before, though exact speeds depend on the devices you're using and how much power is available. The range is quadrupled too, compared with Bluetooth 4, though again it's difficult to nail down specific distances without specific devices to refer to. The Bluetooth SIG is talking about range that goes way beyond the four walls of a home, so use that as a guide. There are a bundle of stability improvements in the updated tech as well, which means connections between your Bluetooth devices should be rock solid, and it should also play nicely with other wireless standards like Wi-Fi too. 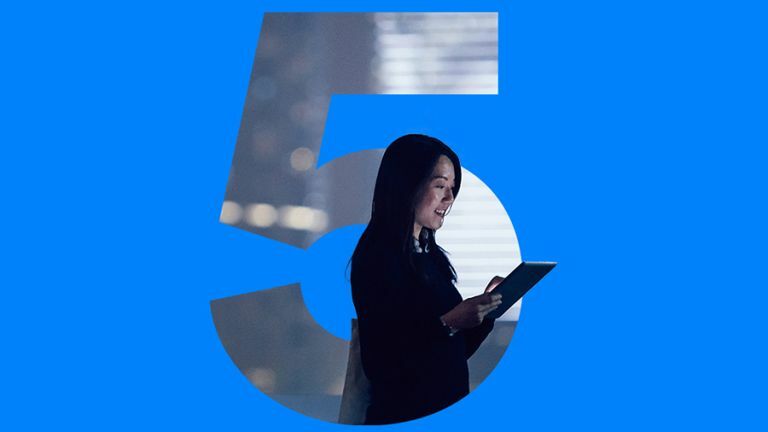 Bluetooth 5 has also been designed with the Internet of Things or IoT in mind - its backers reckon we'll be seeing about half a billion new Bluetooth devices appear each year by 2021, and that's a lot of smart devices trying to talk to each other. The spec is more 'location aware' as well, so it can be incorporated into indoor beacons and other similar sorts of devices that work based on their current place in space. When will Bluetooth 5 start appearing in devices? The Bluetooth 5 spec is now out and available for the world to see, but that doesn't mean you're going to be able to buy Bluetooth 5 devices straight away. That said, hardware makers are going to be keen to get the tech put inside their new devices to take advantage of the benefits of Bluetooth 5 that we've listed above. It's also likely that we'll see new devices, particularly in IoT, that are now possible thanks to Bluetooth 5's increased range and speed. So far there hasn't been a press release that's landed on the T3 news desk claiming support for Bluetooth 5, but we'd say we're only talking a handful of months before it happens. Many of the flagship phones due to be released this year - like the Samsung Galaxy S8 - will most probably have Bluetooth 5 built into them. Don't panic though, because your existing Bluetooth devices aren't suddenly going to stop working. Bluetooth 5 kit will be fully backwards-compatible with older hardware, you just won't get the improved range, speed and other benefits if you don't have the latest tech built into all the devices you're using. As we've seen with the Apple AirPods, which use a specially tweaked version of Bluetooth, the wireless tech is more than good enough to provide a seamless and stable experience for all kinds of purposes, and with Bluetooth 5 now available to can expect the number of devices to keep on growing.